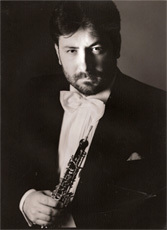 Pierluigi Destro (1959) was a student at Venice Conservatory and graduated in oboe in 1982 with full marks under the guidance of M° Bruno Baldan (principal oboe of Teatro La Fenice Symphony Orchestra, Venice). 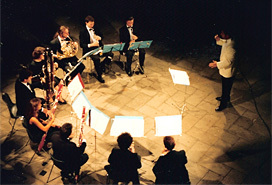 He completed his instrumental studies in 1980 at the Nice International Academy with M° Pierre Pierlot (1st prize at the Geneva International Music Competition, international soloist and 1st oboe soloist at the Opéra de Paris Orchestra), in 1981 at the Pescara Music Academy with M° Augusto Loppi (1st prize at the Geneva International Music Competition, principal oboe of Teatro alla Scala Orchestra in Milan and also of the Accademia di S. Cecilia Orchestra in Rome). Pierluigi was awarded the Diploma of Merit in 1981 and thereafter studied in 1984 in Salzburg at the Mozarteum Music Academy with M° Lothar Koch's Berliner Philarmoniker. 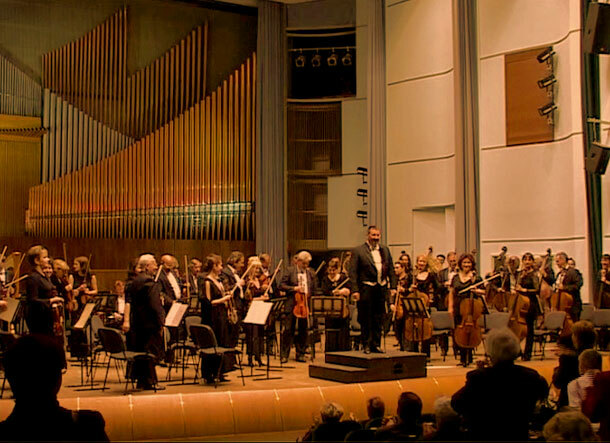 Destro also studied in Italy with M° Walter Bianchi (principal oboe of the San Paolo Symphony in Brazil) and with M° Maurice Bourgue (1st prize at the Geneva International Music Competition and international soloist). He also studied Alexander Technique in Padua with Giorgio Ravazzolo and was awarded the Diploma of Merit. Founder of the Padua Double Reed Trio and Padua Wind Quintet, Destro won several national and international prizes and was awarded the Diploma of Merit at the prestigious 9th Martigny Chamber Music International Competition in Switzerland. As a specialist in chamber music, Destro has given concerts and masterclasses in Armenia, Austria, Belgium, Belarus, Bulgaria, China, France, Hungary, Italy, India, Kazakhistan, Latvia, Lithuania, Norway, Rumania, Russia, Spain, Sweden, Switzerland and Turkey. He has partecipated as soloist or orchestra conductor to festivals in Brussesl (Belgium), Minsk (Belarus), Padua, Rome and Vigonza (Italy), Paris and Strasbourg (France), Salzburg (Austria), Astana 2011 (Kazakhistan). In 1998 he oversaw the reconstruction and revision of the score of Beethoven's symphony n° 7 in the version for 2 oboes, 2 clarinets, 2 horns, 2 bassons and double basson, originally published in 1816 by Steiner – Wien. This new version was published in 1998 by Ut Orpheus (Bologna) and presented wordwide for the first time in March 1998 at the fairs of Frankfurt and Paris, where it was reviewed by Radio France as “the best work of the year”. 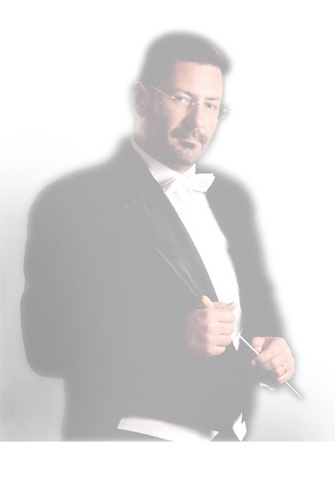 Destro studied orchestral conducting with M° Ludmil Descev (principal conductor of the Sofia State Symphony and Ballet orchestras for 25 years in Bulgaria). In 1994 he graduated in Orchestra Conducting with full marks. In 1996 he completed his postgraduate studies in Opera Conducting with great honours. Since his debut, Destro has conducted: Yerevan Chamber Orchestra (Armenia), J. Haydn Wind Ensemble (Austria), Classic Avantgarde Chamber Orchestra and State Academy Philarmonic Orchestra (Belarus) (appointed Permanent Guest Conductor in 2005), Plovdiv Symphony Orchestra, Schoumen State Symphony, Sofia Chamber Orchestra and Sofia Soloists (Bulgaria). In his native Italy, he has conducted the C. Pollini Chamber Symphony, Euphonia Chamber Symphony, Padua Wind Ensemble (Principal Conductor from 1990 to 1997), Pordenone Symphony, T. Schipa Wind Ensemble and Vicenza Jazz Orchestra. 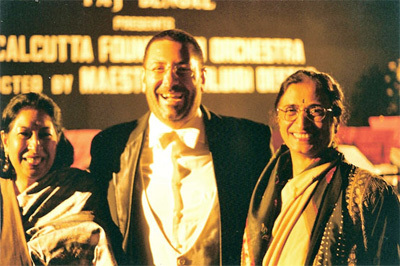 Abroad Pierluigi has received invitations from: Shenyang Youth Symphony Orchestra (China), Kazakh State Chamber Orchestra (Kazakhistan), Riga Wind Symphony Orchestra (Latvia), Vilnius Wind Ensemble (Lithuania), Calcutta Foundation String Orchestra (in the photo from left, Princess Karuna Devi Durban, M° Destro and the Trustee of the Calcutta Foundation Orchestra Mrs. Shamlu Dudeja) (India) (appointed International Guest Conductor in 2001); National Philarmony Orchestra (Moldova) and RadioTelevision Symphony (Moldova) (appointed Principal Guest Conductor in 1997), Bacau Symphony Orchestra (Rumania), National Library Symphony Orchestra (Russia) Cordoba Wind Ensemble and Badajoz Wind Ensemble (Spain), Mimar Sinan Wind Ensemble and Yasar University Chamber Orchestra (Turkey) Zaporozhye Symphony (Ukraine). Since 1983 Destro has been teaching Chamber Music for Woodwind Ensemble, working in Castelfranco Veneto, Udine, Vicenza (where he has also acted as Quality Assurance Coordinator, International Relations Manager, Vice Director and Director) and, last but not least, in Padua where he is currently Permanent Professor, Erasmus Coordinator, A.E.C. Coordinator and International Relations Mananger.